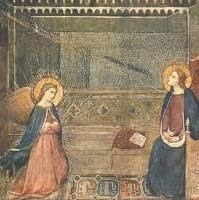 In the 13th century, a monk by the name of Fra Bartolomeo was painting a picture of the Annunciation in the church of Santissima Annunziata, the motherhouse of the Servite order. 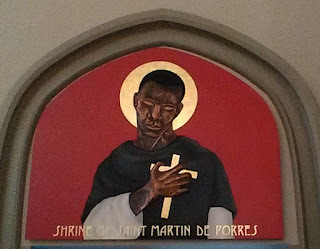 Reportedly, he was unhappy with his portrayal of the Blessed Mother's head, and while he was sleeping, an angel came and finished the picture for him. This is the miraculous picture. I would like to ask a few questions about this picture. I would especially like to know why the angel's arms are crossed, but I digress. This miracle at Santissima Annunziata was soon followed by others attributed to the picture, and as the church became the center of a wide-spread devotion, the motherhouse became the recipient of many donations, including a great many silver devotional objects. This generous accumulation of silver required a suitable repository, thus the Armadio degli Argenti (silver chest). 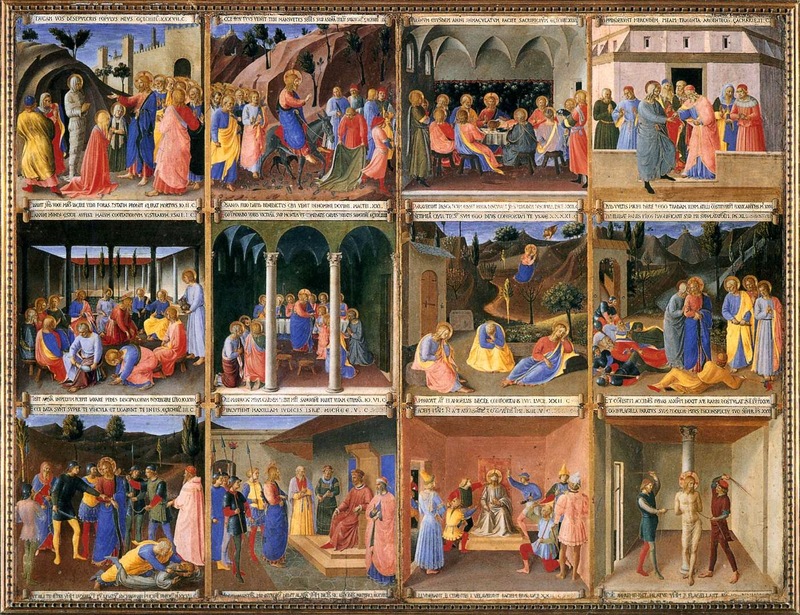 In keeping with the magnificence of the silver, Piero de'Medici, who had assumed patronage of the picture, commissioned Fra Angelico to paint a series of panels portraying the major events of the life of Christ for the shutters of the chest. 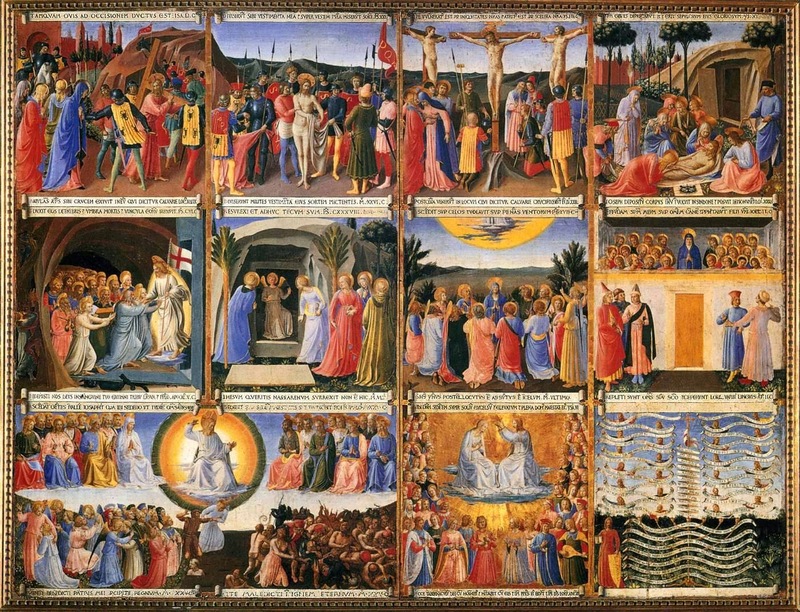 There were 35 panels (two of the panels are joined to make one image of the Last Judgement) painted by Fra Angelico and his assistants. The panels have been divided and rejoined since they were in the original silver chest, but I believe that this is how they are currently displayed. Unfortunately this is the only image of this last panel that I can find, and I can't find the either the Wedding Feast at Cana or the Baptism of Jesus elsewhere. 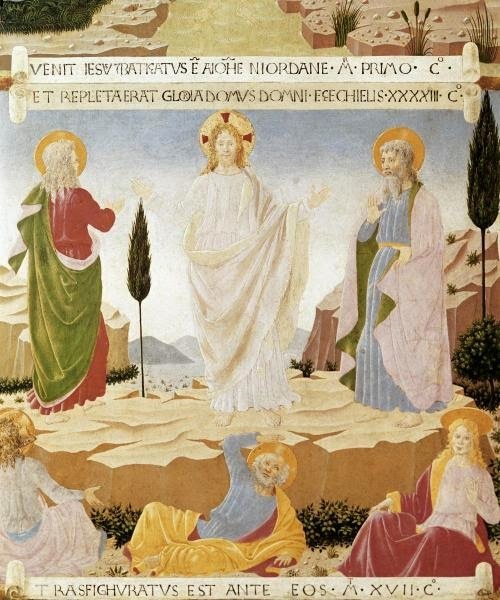 I did find a bigger image of the Transfiguration, and I think it's evident that it must have definitely been done by an assistant, or later artist. It might be for the best that I can't find the other two. That's about all the time I have tonight, so I'll leave the discussion of the over-arching theme until tomorrow. As I said last night, my prime source of information is this wonderful book by Diane Cole Ahl, which I just ordered from Amazon and which will be much better than an Easter basket. The story of the miraculous image of the Annunciation was found here. 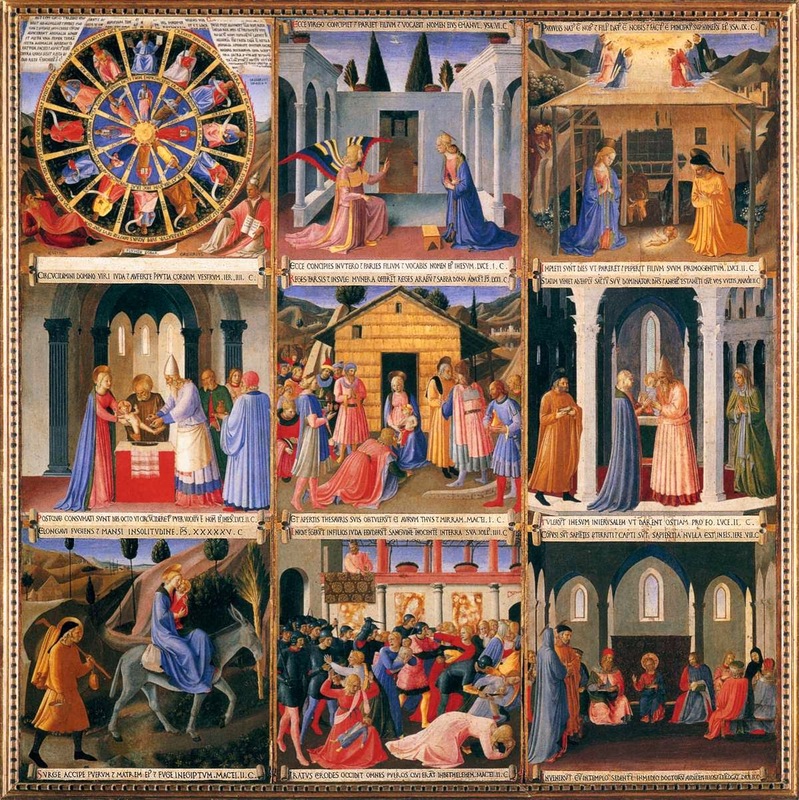 And I also want to mention that although I have always loved the work of Fra Angelico, I never had heard of the Armadio until Angelico Nguyen posted some of the paintings on the Korrektive blog last Easter. Then Again, Sometimes in the Midst of Life . . .
You Mean to Tell Me You Don't Go Anywhere?